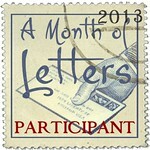 Mailbox Happiness: A Month of Letters 2013-Are You Ready? 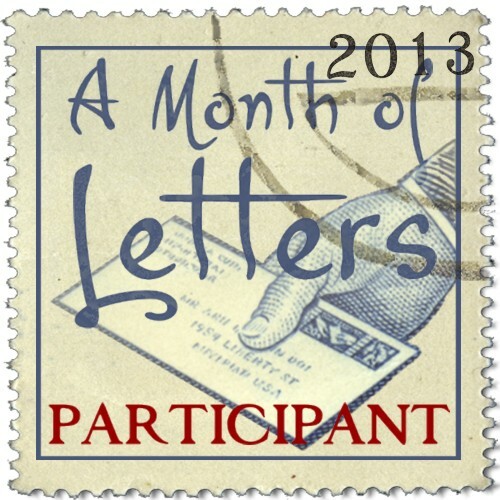 Letter Mo 2013 is on the way! all make me happy just the same. What is A Month of Letters? 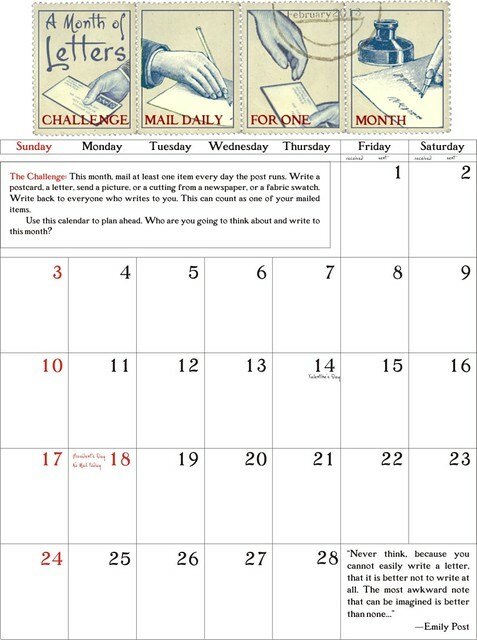 New this year is a great calendar you can print to plan out and track your mail, available for download at Lettermo. You'll also find a page of stickers you can download and use on your mail for the month. I signed up last week. I will have to check out postable.com. I learn all kinds of things from my fellow bloggers. Postable is new to me but I'm liking a lot so far, still won't give up my paper address book for my regulars! Do you keep a paper address book? I participated last year, loved it! I understand what you mean about being overwhelmed, keep in mind anything you mail counts...love notes to your family, postcards, letters, thank you cards. I participated last year and plan to send even more mail for it this year (I've already used almost all the LetterMo postcards I bought =D). Hopefully they'll have the fliers updated soon so we can start handing them out. Guess I should check out Postable - I've seen a lot of participants starting to use it after Mary first posted about it and it sounds pretty handy. Postable is a really great tool, I think, especially for the challenge. There are many AI pages in other languages as well.